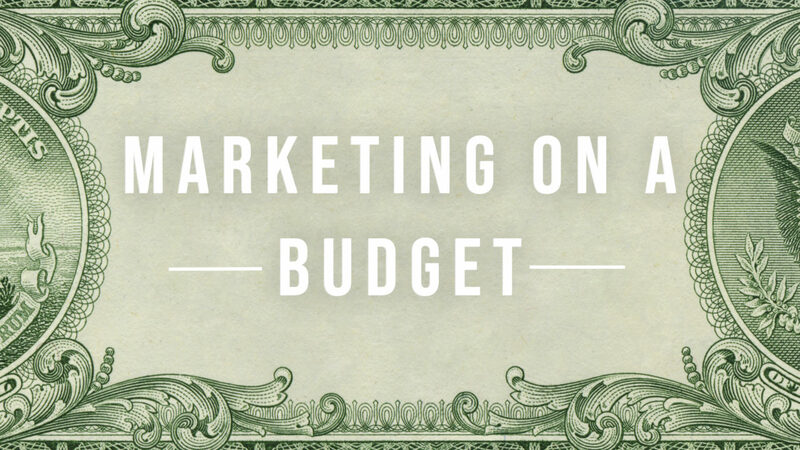 Marketing on a Budget: Every Penny Counts! Marketing is usually a costly endeavor for businesses, from small mom and pop shops to large corporations. Finding the best way to reach your desired clientele can take effort, but there are a few tips we have to make sure your initial marketing campaigns don’t break the bank. Words are FREE. What separates a successful business and their online reach from another is engaging, effective content. It’s one thing to have an immense amount of blogs on your website scattered on multiple platforms however, there needs to be creative, high quality content to differentiate yourself from the pack. It’s important to take note that effective content is not something that will take you over budget. Add value to your customers through your content and let the rest speak for itself. Just like building content, winning on your keywords can be FREE too. Although, some do go the route of utilizing paid adds, you can rank organically on search engines with putting time in instead of money. If you are looking to get your business free exposure, it’s important to learn the matrix of how search engines crawler rank websites. Once you put in the time of understanding SEO, dive into researching your consumers and use the words they are searching for. Learning a few of these SEO techniques won’t break your bank and will surely pay off. With social media being on the rise over the past few years, this might be the most important of them all. It is essential to have a strong presence on all platforms that will be beneficial to your brand. Instagram, Facebook, Snapchat, Twitter, & Pinterest are among the most popular platforms used today in business. Platforms like Instagram and Facebook have even made your outreach trackable through analytics! Not only does this allow you to target your audience better, but it also keeps you engaged with them 24/7. The best part about all this? It’s all completely free! Let’s face it. We all want more customers to bring in more revenue without overspending, right? Well, it all starts with networking. To be successful at making new connections, you must have your business in the back of your mind 24/7, in order to have information ready while creating a new relationships. Social media can also help you network with people, even allowing you to target end customers. Networking- oriented platforms such as LinkedIn are great to use if you are looking to reach out to other businesses or professionals. While all social media is great, keep in mind that talking in person and creating those relationships is still the number one way to market your business! At ADventure Marketing, we understand that some business may not have the capital to invest in their online presence. That is why we will work individually with your business to exceed your expectations for the right price. The digital marketing team at ADventure is able to help with all online marketing techniques. We create strong, effective campaigns with analytics to back the results. Call us today to schedule a free session or email us and us let know what online marketing services you are looking for. Cristian Garcia is an intern at ADventure Marketing, with a focus on online marketing and social media optimization.